A specialist on American national institutions, much of Professor Peterson's scholarship focuses on interactions among the Presidency, Congress, and interest groups, evaluating their implications for policy making, both within the general domain of domestic policy and with special attention to national health care policy and Medicare reform. A specialist on American national institutions, much of Professor Peterson's scholarship focuses on interactions among the Presidency, Congress, and interest groups, evaluating their implications for policy making, both within the general domain of domestic policy and with special attention to national health care policy and Medicare reform. He has written extensively on how Congress responds to presidential legislative initiatives, exploring how different political, economic, and institutional settings affect coalition building, promote inter-institutional conflict or cooperation, influence the president’s legislative performance, and establish the baseline for assessing the performance of individual leaders (includingLegislating Together: The White House and Capital Hill from Eisenhower to Reagan, Harvard University Press). He has also investigated the ways in which presidents use relationships with organized interests to promote their administration’s political or programmatic agendas, based on the presidential objectives and strategic calculations. As a participant in the Annenberg Institutions of American Democracy Project, with Public Policy Department colleague Joel Aberbach he co-chaired the Commission on the Executive Branch and co-edited the volume it produced on the politics and performance of the presidency and bureaucracy (Institutions of American Democracy: The Executive Branch, Oxford University Press), which won the Richard E. Neustadt Award from the Presidential Research section of the American Political Science Association. He has also contributed to its study of public and elite opinion on the performance of American institutions (Institutions of American Democracy: A Republic Divided, Oxford University Press) and the role of policy research in policy making. In addition, he edited Health Markets? The New Competition in Medical Care, Duke University Press; and co-edited both Uncertain Times: Kenneth Arrow and the Changing Economics of Health Care, Duke University Press) and the four-volume edited seriesHealth Politics and Policy (Sage), as well as edited the special health policy journal issues, The Managed Care Backlash and Who Shall Lead? Much of his most recent research has been to produce a book manuscript entitled “The Time Was Right: Political Contexts ad Strategic Choices on the Long Road to Health Reform.” Encompassing the last 100 years, it examines how recognized problems in the health care system, the influence of public opinion, transformation of the interest group community, institutional dynamics in Congress, changes in the context and demands of political leadership, various dimensions of social learning by policy makers, and strategic and tactical choices by presidents both thwarted health care reform in the past and ultimately made possible the enactment of President Obama's Patient Protection and Affordable Care Act of 2010, but in a context that also primed the challenge of the law before the U.S. Supreme Court and prompted partisan attacks on its implemention. Professor Peterson is also a founding team member of the UCLA-based multidisciplinary Blue Sky Health Initiative to transform the U.S. health and health care system, which has helped advise Congress on the inclusion of disease prevention and health promotion strategies in the Affordable Care Act. Previously, as an American Political Science Association Congressional Fellow, he served as a Legislative Assistant for Health Policy in the Office of U.S. Senator Tom Daschle. During 2000-2003 he was on the Study Panel on Medicare and Markets organized by the National Academy of Social Insurance. From 1993 to 2002, Professor Peterson was the editor of the Journal of Health Politics, Policy and Law, a leading bimonthly scholarly journal in the field. He later chaired the journal’s Executive Committee, on which he remains a member, and also served on the Board of Editors of PS: Political Science & Politics and the Board of Editors of the Journal of Politics. He has often been interviewed for television, radio, and print media stories, including for CBS News, National Public Radio, New York Times, Washington Post, Los Angeles Times, USA Today, Christian Science Monitor, San Diego Union Tribune, Arizona Republic,Milwaukee Journal Sentinel, CQ Weekly, The Hill, American Medical News, Le Monde, Correio Braziliense, Jornal do Brasil. Professor Peterson has been an elected member of the Council of the American Political Science Association (2008-2010) and a member of its Administrative Committee, a founding member of the Association’s Organized Section on Health Politics and Policy, and was elected President of its Organized Section on Public Policy. 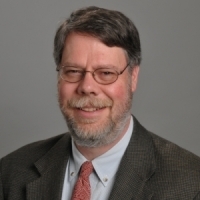 He has served on various committees for the American Political Science Association, Midwest Political Science Association, the Western Political Science Association, and AcademyHealth. He chairs the National Advisory Committees for both the Robert Wood Johnson Foundation’s Scholars in Health Policy Research program and its Changes in Health Care Financing and Organization (HCFO) program, and is a member of the National Advisory Committees for the Foundation’s Investigator Awards in Health Policy Research Program and Center for Health Policy at the University of New Mexico. He is an elected member of the National Academy of Social Insurance. Other honors include the Pi Sigma Alpha Award from the Midwest Political Science Association, the E. E. Schattschneider Award from the American Political Science Association, and a Robert Wood Johnson Foundation Investigator Award in Health Policy Research. At UCLA, he served as Chair of the Department of Public Policy from 2002 to 2006. He is a Faculty Associate of the Center for Health Policy Research and the Institute for Society & Genetics; Co-Director of the Policy Core for the Center for HIV Identification, Prevention, and Treatment Services; and currently is on the faculty advisory committee of the Center for American Politics and Public Policy and a member of the Community and Policy Advisory Board of the Robert Wood Johnson Clinical Scholars program at UCLA. He was previously served on the faculty boards of the Center for Policy Research on Aging and the Institute for Social Research. He is also currently a member of the University of California's Academic Senate Task Force on the Future of Health Benefits and the University of California Office of the President's Health Benefits Working Group.